Home AgeWise Advantage: Older Brains! 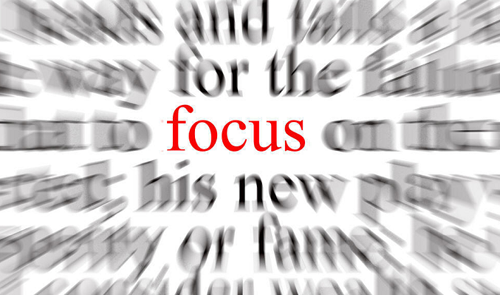 I loved the article “Keep Your Focus” in this month’s AARP Bulletin. We’ve been constantly told how younger minds have the advantage because they process information faster. But there’s good news for those of us who grew up before computers and smartphones became ubiquitous. By encountering that technology later, we’ve been able to preserve mental skills that younger people struggle to maintain. Having been immersed in technology all their lives, younger people are used to rapidly changing screens and fast-paced redirection. As a result, they become bored easily and when faced with a complex assignment, they lose patience more quickly. Here’s where older adults have the advantage. Not only do our brains do better at staying focused, contrary to popular belief they are better able to learn new things. This is in spite of the jokes and cartoons about older people frustrated with trying to figure out a remote control or how to send an email. Truth is, being brought up in the era of pencil and paper, we can put our persistence and doggedness to use in learning new skills and information better than most younger people. We may not be able to multitask as well, but we can zoom in on what’s most important. I have a friend who is in her 30s and can drive a car, discipline a child in the backseat, carry on a phone conversation, and manipulate the navigation on her dashboard at the same time. But when it comes to the detail work demanded in her computer programming class —that drives her crazy. The AARP article points out that being addicted to social media and hooked on ‘round-the-clock checking of a smartphone leads to a fragmented and shortened attention span. But we older brains can stick with a task for hours and we pay greater attention to detail. It comes down to being better able to manage distractions. I have to admit, as I sat down to start writing this post, I found myself tempted to check on my students who are taking their final exam. I did get up to do the dishes and marinate some salmon. Then as I sat back down, the clicking of my fingernails on the keyboard irked me and I almost stopped to file them. But instead, I was able to get this post written and published. Whew! 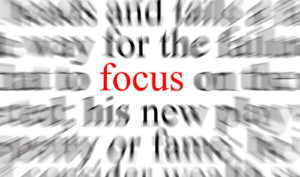 Maybe I’ll tap this focus advantage to help me get better at meditating.